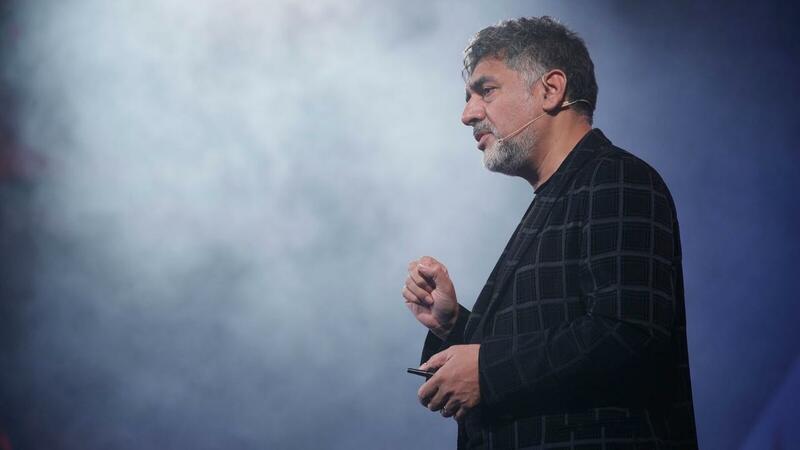 James Caan CBE is one of the most respected business titans in Britain. He was speaking at the 2018 Pendulum Summit. Hear his presentation in its entirety on Pendulum Talks. Through life you must continually reinvent yourself. It’s rare that your journey is one straight line. Life is full of twists and turns, and to be successful you must have have the ability to adapt and change course. The underlining ingredient in this journey is passion. Working hard for something we don’t care about is stress, but working hard for something we do care about is passion. This is an quality that I’ve held dear throughout my career. I wasn’t born with a silver spoon in my mouth. I didn’t have a private education. When I left school and went out on my own at 16, I had no money in my pocket. What I did have was a great degree of ambition coupled with self-belief and a strong desire to achieve. I had a powerful work-ethic, too, something I believe imperative in any pursuit of success. One of the first interviews I got was for a job interviewing for a recruitment agency. I got it, and the position paid 30 pounds per week. Effectively, it involved cold-calling firms, ascertaining whether they had a vacancy, advertising that vacancy and then interviewing candidates to find the most suitable applicant. The more people you placed, the more money you earned. For me, this got the adrenaline going. After four years, I realised it was something I had a great deal of passion for. I decided to start my own recruitment business, and Alexander Mann was born. In those days, recruitment was divided into three sections. There was the high-street brands, the mid-range brands, and the top-end brands, who were the head-hunters. My concept was to bring head-hunting to the masses. Nobody had ever done it, and the market was wide-open. Within a couple of years, our turnover was a couple of million. Today, that business is generating sales of 800 million and is operating in over 27 countries with 3,500 employees. When I look back at the three businesses I failed on, I notice that perhaps the most important line was knowing when to quit. I used to ask entrepreneurs, after we had turned them down, were they going to carry on. 90% of them said yes. To them, quitting only comes after you run out of money. To me, that’s naive. If you’re going to fail, you better do it quickly, because the longer it takes you to fail, the more money you will burn. You often hear people saying that the key to success lies in never giving up. There’s certainly an element of that in finding success, but it’s also imperative to be smart. There’s a point in every activity you do that you have to stop and admit that it’s not going to work. I had three of those experiences, and in each one the key was knowing when to quit. Get instant access to exclusive video content, cutting edge masterclasses and inspirational summaries from a host of Pendulum Summit speakers. For access to a wealth of game-changing video content, speaker insights and inspirational summaries.